Want copywriting or design feedback? Don’t ask your mom. Like billions of other Earthlings, I’m addicted to active on Facebook, and I belong to several groups for women entrepreneurs and other small business owners. Some of these groups are huge, so it’s no surprise that business owners are constantly asking their peers for feedback on marketing creative such as copywriting or design work. Why is this a dangerous waste of time and money? Because if your friends list isn’t your target audience, it doesn’t matter which one they like best! It doesn’t matter what your married, 65-year-old, atheist, teetotaler mother thinks of your tagline—if you’re selling a beer-making retreat for childless Christian bachelors under 26. As the spouse of a graphic designer, and a former designer myself, I can assure you that designers hate it when business owners ask friends and family for their hot takes. Clients who bring you random, out-of-context design feedback are much harder to work with. What’s worse, it’s much harder to get your client the results they’re hoping for. I’ll discuss how to evaluate a copywriter in another post. But for now, let’s talk about how to ask for and get meaningful feedback on a designer’s work, so you can get the best possible results for your design dollars. You can only understand these things in context, so be prepared to give your reviewers enough background information to give you actionable data along with their opinion. First, describe—in detail—the target audience for the design. Who is this person? What is their age, gender, income level, household size, profession, and location? How much education do they have? What kind of car do they drive? And so forth. You don’t have to know every single detail about your ideal customer, but the more you know, the better off you’ll be. In the best of all possible worlds, you’ll only ask people who are in your target demographic for advice. Next, describe in detail the “job description” of the design. What instructions did you give the designer about your definition of success? What was the thinking behind the design? Does it need to explain, or clarify, or guide, or differentiate, or communicate your unique selling proposition? What concepts or feelings does the design need to convey? What emotions do you want your target audience to feel when they see the design? What problems does the design have to solve? And so forth. Put the design into its physical context. For example, if it’s a logo design, does it need to be legible at 50 pixels by 50 pixels for use as a Facebook profile picture thumbnail in your news feed? Can you make it into a favicon? Do you have a rectangular version and a square version? Will it look good on a billboard or printed on a return address label? Be sure your designer (and your reviewers) know where and how the design will be used. Put the design in the context of your service offering, product category or industry if you can. Sometimes the designer’s mandate is to show your target audience that you’re “outside the box,” new or unusual in some way. Occasionally, a design has to explain what the product actually does if you’re introducing a new product category. Sometimes the designer’s job is to convey stability or permanence or continuity with industry norms. Make sure you share this context with the folks you’re asking for feedback. What about aesthetics? Isn’t it OK to pick the prettiest logo? Of course! 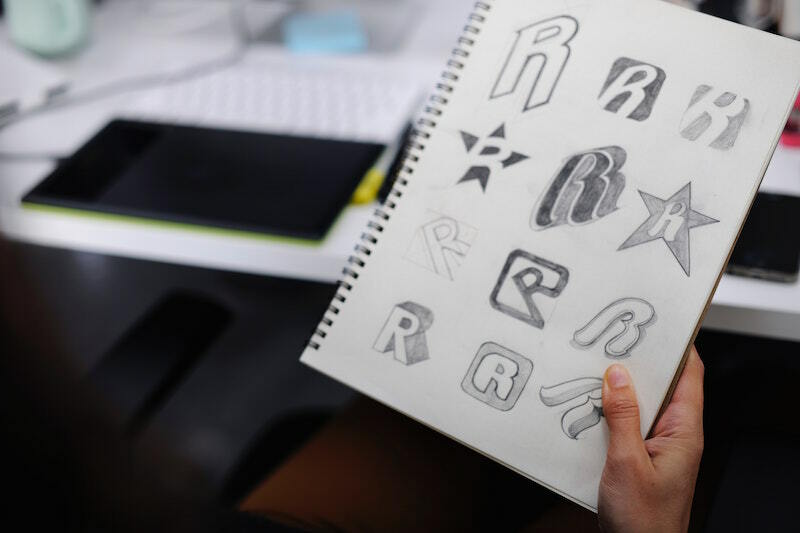 If you have a choice among several logo designs that tick all the other boxes (target audience—check, communication goal—check, industry positioning—check), then by all means, take aesthetics into account. But don’t start and end with aesthetics when it comes to getting feedback on a marketing design. “Pretty” does not always equal “effective.” And definitely don’t expect your second cousin to make the best choice, if he will never be in the market for what you’re selling.